Coal and Roses allows the poet space to both research and to create, looking simultaneously to the past and to her hopes for an uncertain, metaphysical future. Included are a series of 21 glosas, borrowing from the work of Ted Hughes, John Ashbery and Thom Gunn, amongst others. A masterful display of linguistic dexterity, Page assimilates the pervasive complexity and the abundance of tradition that co-exist in the world of literature. 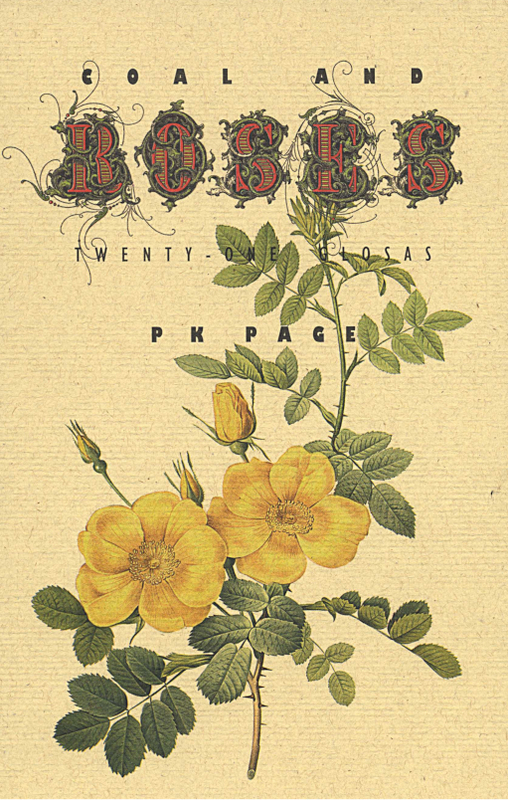 Coal and Roses is a collection of 21 intricately formal glosas, arranged to explore the endless possibilities of language. In this slim volume, P. K. Page offers the reader a wildly eclectic overview of the history of poetry, as well as a master class in the evolution of language as evidenced in the poet’s ‘communion’ with her attributed predecessors. Coal and Roses offers a collection of poems that stand by themselves as commentaries on many of the issues endemic to the varying times, places and circumstances of the aforementioned attributees. Life, death, a palpable need for belonging and the inevitable passage of time are all to be encountered, as one might expect in a work that ranges from the sort of trivial, light-hearted sympathy for the trials of day-to-day life to much weightier reflection on the probability of a greater existence. The use of the glosa form serves to emphasize both the continuity and the evolution of life, and of art. Included are twenty-one glosas, borrowing on the works of nineteen artists. Spanning numerous centuries, movements, genres and corners of the world, Page explores the works of Wallace Stevens, Theodore Roethke, Margaret Cavendish and Akhmatova amongst others. Coal and Roses is an exquisite work, respectful of the past and hopeful for the future. ‘In Coal and Roses, P.K. Page explores the subtle yet poignant strength of intertextuality. Through her captivating execution of the glosa (a fourteenth-century poetic form that uses borrowed lines), Page invokes the words of her predecessors (in italics) to capture the nuances and facets of the most mundane experiences to overarching meditations on life and the human condition. ‘The decadent imagery in ‘‘Ah, by the Golden Lilies’’ spawns from the hues of Jimenez’s poem ‘‘Yellow Spring’’ as it beautifully illustrates Jimenez’s golden world. The speaker oscillates between her intrinsic knowledge of her childish bewitchment with Jimenez’s ideal, ‘‘my young head full of follies / ah, by the golden lilies,’’ and the continuous desire to recreate this idyllic world for her own mental delight. ‘‘I trail my golden fingers -- / for I am Midas’ daughter -- / in the tepid golden water.’’ The speaker’s keen awareness of her ‘‘Jimenezian’’ influence unveils the way in which we as readers borrow and perpetuate the visions and creations of others. Page’s poem becomes an Eden, Virgil’s Arcadia, and Dante’s Paradiso. This new collection, interspersed with short biographies and black-and-white photographs of each quoted poet, is a marvellously Page-esque literary primer, stretching across nations from the 17th through the 20th century. A collection of Page’s glosas that shows how rich with possibility this form is (in the right hands). Each poem is accompanied by an image of the inspiring poet -- the author of the quatrain the glosa is built upon -- and a short biography, which, because Page was so widely read, makes this an elegant and unusual tour of a rich cross-section of poets from different cultures and ages. We have 17th-Century duchess Margaret Cavendish, Anna Akhmatova, Jorges Luis Borges, Zbigniew Herbert, Wallace Stevens, Theodore Roethke, Gwendolyn MacEwen, Frederico Garcia Lorca, Don Mckay and Dionne Brand -- and we see their influence in Page even as we see her spring away from them without fail, every time, into her own unmatchable voice. Page’s achievement as a poet, her exceptionally long career and her recent death lend this late book a fascination beyond its own successes. As late publications sometimes can, it brings into relief the qualities of earlier ones. Coal and Roses shows the polarity in Page’s poetry between a discursive voice, opinionated and often speaking the language of the times, and one more private, working through words more deliberately, drawing on disciplines of meditation and close scrutiny. Her biography invites some loosely dialectical reading of the two, whether separate or in combination. The more discursive voice may be associated with the British legacy of her upbringing and early career in English Canada, roughly her 20s and 30s; the more contemplative to the long work of reinventing herself, also in her painting and travels, though her 40s. 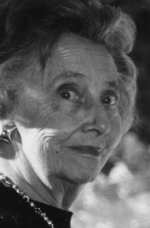 Her transformation as a poet, notably the successes in her 50s, as further confirmed in Evening Dance of the Grey Flies (1981), shows her remaking the Hochsprache of her youth by means of experiential, and especially visual disciplines, where if you really look, and look and look, it seems you come out the other side. The resulting concentration enhances even Page’s more sociable poetry thereafter. may be sent to ‘Coventry’.